Chinese New Year Eve's Reunion Dinner normally has fish among dishes, fish in chinese (魚) is homophonic with abundance (餘), as you notice, there is always leftover in reunion dinner, this is to hope the coming year is abundance with good things. 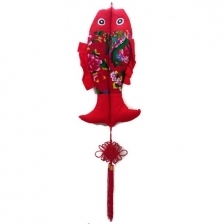 On the other hand, chinese cultural arts always have object in pair, this is to imply togetherness. 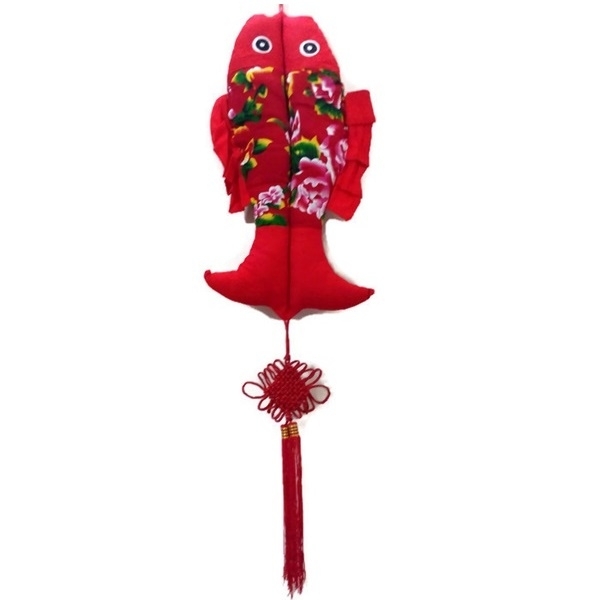 This is the expression of chinese culture, which is looking forward for good & being optimistic. Thinking to decorate your house for chinese new year, wedding or new house? 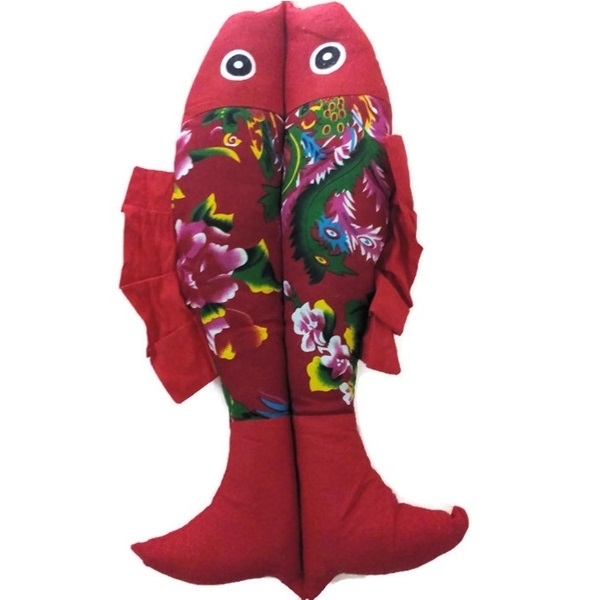 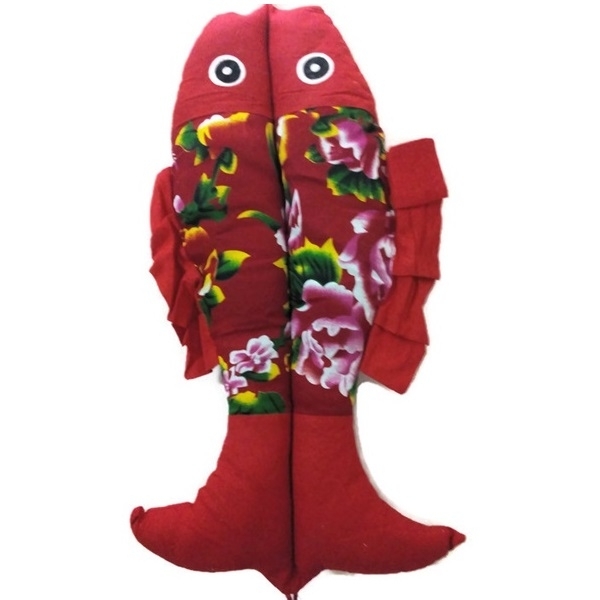 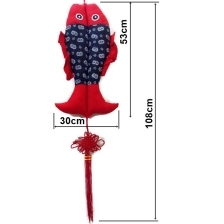 This pair of fabric-made fish with chinese knotting, will enrich your wall.